In the zone. In the cone. 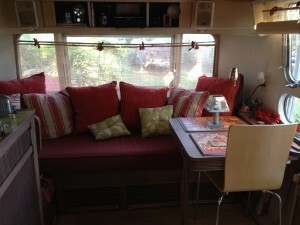 In the Airstream. It’s amazing how much time can go by when we’re in the business of doing business. But the fun part of writing is that magical time when we’re waiting for a client approval, or waiting for the next assignment to start. It’s time to talk about the joys of writing when I don’t have any deadlines knocking on the door. That’s when I can retreat to Amelia and be in another world. In another time. And it all depends on Pandora radio. 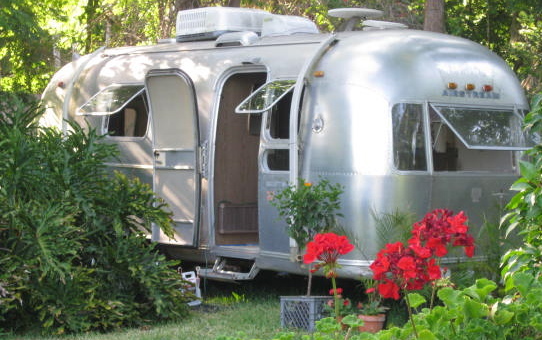 Yep, right now it’s Ella Fitzgerald singing “At Last.” Fitting, isn’t it, since it’s been so long since I’ve even written an Airstream Dreams post? Pandora radio, (shameless plug), is a freelancer’s best friend. When I’m writing and don’t want to hear any words but my own, instrumentals are in order, like Stan Getz’ sax or Bill Evans piano or James Galloway’s jazz flute. When I’m just listening or doing research, it can be anything from Coldplay to Jason Mraz to Amy Winehouse. And when I’m feeling especially adventurous, I just tune in to my friend and R3M1X3Dcolleague, Simon Jacobsohn’s, playlist. Then I sit back and enjoy the Florida breezes gently floating though the space as I tackle the stack of magazines that have piled up since I’ve been handling client requests. The good news, most of the publications I read can be directly related to work I’m doing for my True Stories clients, so it’s never time wasted. In fact, on top of the stack is my new issue of Whole Living, whose tag line is “body + soul in balance.” And this month’s issue is called The Blue Issue: All about H2O. Coincidentally, I just completed a piece for a client on water conservation. What sweet serendipity. Now, enough writing. Time for some reading. And an icy, cold glass of pomegranit green tea.